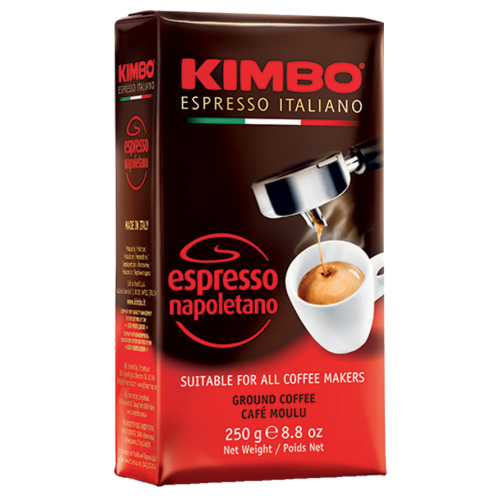 Kimbo Espresso Napoletano ground coffee has a perfect creamy flavor and robust body. Kimbo Espresso Napoletano is roasted with a traditional Neapolitan roasting method in a rotating drum and slowly which reduces the bitterness of the coffee to a minimum. Thanks to the carefully selected beans and a premium blending a balanced coffee with great features is created.